Beth Boynton, RN, MS has had one foot in science and one in theatre arts for much of her career. Before she went to nursing school she earned a BS in Biochemistry with a minor in Theatre and Communication! The path to her current role as a Medical Improv Practitioner involves a unique combination of professional and personal experiences that only in retrospect makes perfect sense! A snapshot of Beth's story involves her account of a dynamic nursing career advancing in occupational and home health when she suddenly found herself in the middle of a painful divorce. Unexpectedly a single mom, her world turned upside down. She entered into counseling with a therapist who helped her realize that while she was a great advocate for others, she was not so good an advocate for herself. She gradually started to see the beginnings of a happier and healthier life unfold. She started taking improv classes partly for fun and partly because her son, who was shy in school, seemed to thrive in theater milieus. She soon discovered that many of the activities in improv were helping her to become more confident and a better communicator. In 2003, she left her leadership role in home health and entered graduate school to study organization and management. 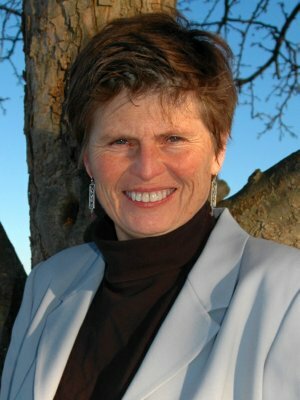 She enjoyed studying group dynamics, leadership, and organizational development and built a model that used theatre games to teach emotional intelligence to children. At that time she was becoming frustrated with healthcare and finding it hard to practice her evolving healthy assertiveness in the cultures she was working in. She was considering other careers, but a teaching opportunity that coincided with news linking medical errors to communication problems. She realized that healthcare professionals could also benefit from this fun and experiential approach to teaching and has been committed to this idea ever since. After receiving her MS in organization and management she began to build her consulting business where she specialized in improving communication, collaboration, and culture within healthcare. Over time she integrated improv activities into her interactive workshops and witnessed over and over what an incredibly effective teaching tool they could be. In 2011 she piloted a workshop at NYU that focused on using improv to build communication and collaboration skill in healthcare professionals and it led to her well-known Youtube called "Interruption Awareness: A Nursing Minute for Patient Safety." In 2012 she completed the first ever train the trainer program in "Medical Improv" led by Professor Katie Watson and Dr. Belinda Fu at Northwestern University Feinberg School of Medicine. 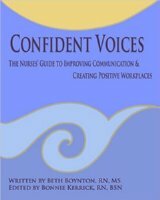 Her blog, "Confident Voices in Healthcare," has won numerous awards and her second book, Successful Nurse Communication, was published in 2015. Beth is committed to helping healthcare professionals become more effective communicators, team-players, and leaders so that they can provide safe, cost-effective, and compassionate care and enjoy long-term healthy careers. She believes that the experiential activities from improv are the most fun, engaging, and transformative way to carry out her mission! An Out of this World Experience for Nurses Only! It is no secret that nurses face relentless high stakes high stress work with little time to come together for pure fun. On Planet Improv, nurse colleagues are guaranteed to have a great time together while building positive relationships. Join Medical Improv Practitioner Beth Boynton, RN, MS as she facilitates a variety of easy-to-do and playful activities that will leave nurses feeling engaged, connected, and inspired about their work. Whether staff actively participate or watch, this interactive workshop is always a one-of-a-kind and memorable experience! Using Experiential Activities from Improv to Improve Communication and Collaboration in Healthcare Professionals! Are you looking for a new and engaging way to overcome challenges associated with communication and teamwork with your staff? Medical Improv activities can be transformative in helping healthcare professionals become more effective in speaking up, listening, and teamwork. AND they are lots of fun! In this interactive workshop, Beth Boynton, RN, MS, will introduce participants to the fundamental rules of improv and facilitate a series of fundamental activities that are designed to promote these important skills. Activities will be woven in with discussion about learnings and finish up with a personal action plan for continued growth. Creating a culture of safety requires professionals to be fluent in giving and receiving constructive feedback in a dynamic exchange of ideas, concerns, critique, and questions. In this interactive workshop, Beth Boynton, RN, MS, will introduce participants to the fundamental rules of improv and facilitate a series of activities designed to develop these essential communication skills while promoting the positive relationships that support them. Activities will be woven in with discussion about learnings and finish up with a personal action plan for continued growth. Providing patients with optimal experiences despite facing pain, loss, and/or suffering requires excellence in attentive listening and the ability to hold empowering conversations. In this interactive workshop, Beth Boynton, RN, MS will introduce participants to the fundamental rules of improv and facilitate a series of activities designed to develop these essential communication skills. Activities will be woven in with discussion about learnings and finished up with a personal action plan for continued growth.